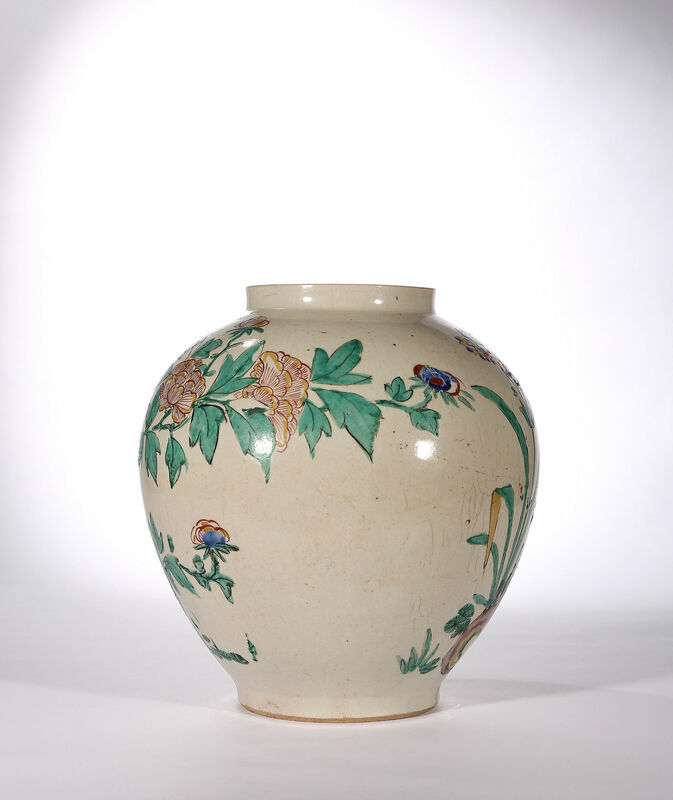 Boldly enamelled predominantly in green and yellow, with additions of purple, blue and iron-red with peony sprays and iris issuing from rockwork with butterflies. The greyish brown porcellaneous body is just translucent under strong light. 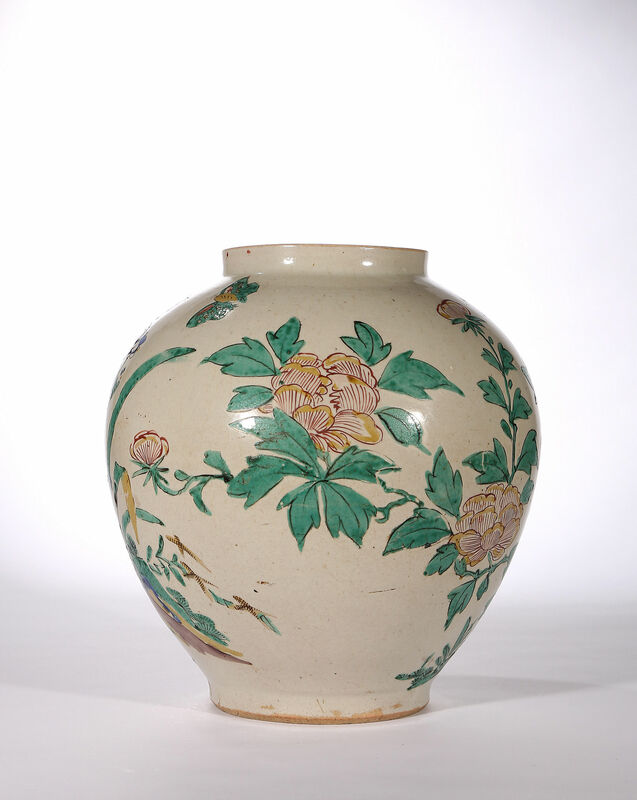 Sakaida Kakiemon is said to have learned the secrets of coloured enamels from a Chinese man in Nagasaki in 1647. 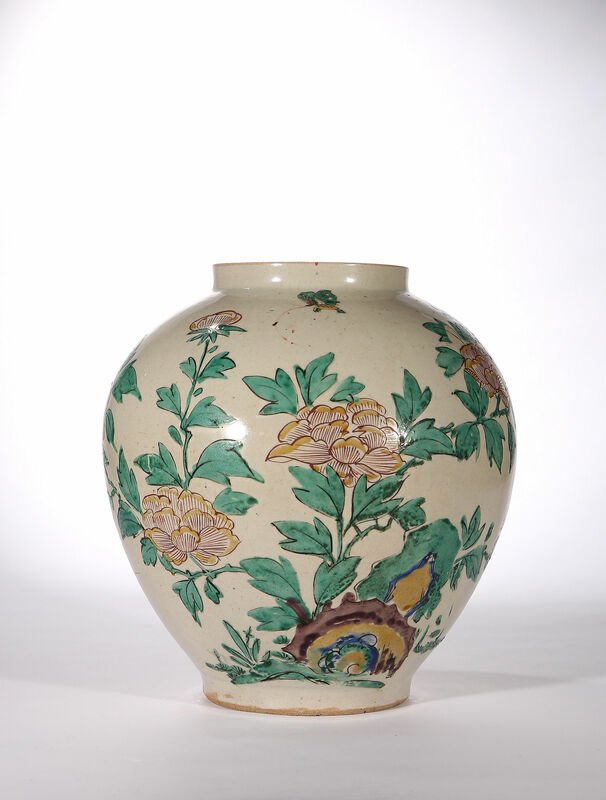 Soame Jenyns, citing Kakiemon family memoranda, suggests that it may have even been a little before 1646 (Japanese Porcelain, 1965, p.112). 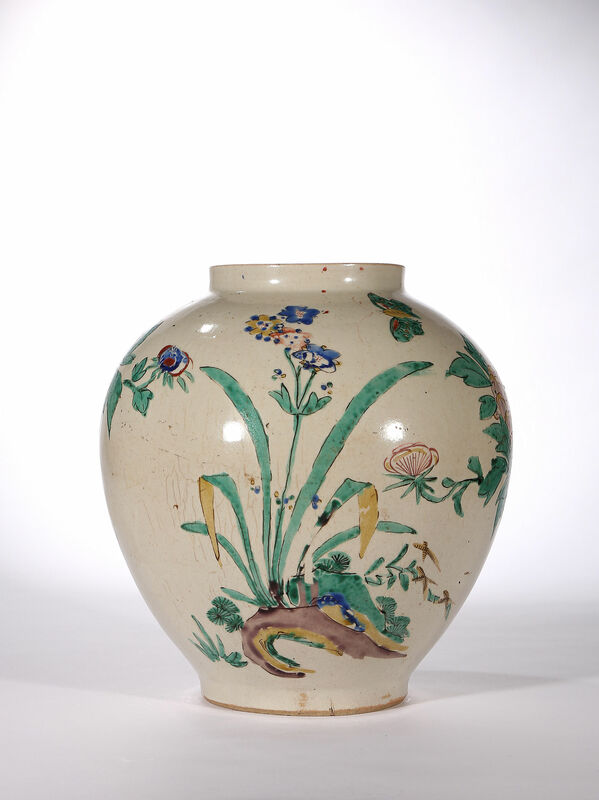 A very similar jar in the Ashmolean Museum, a gift of Richard de la Mare, 1982.74 is illustrated by Oliver Impey in Japanese Export Porcelain (2002), fig 42, p.63. 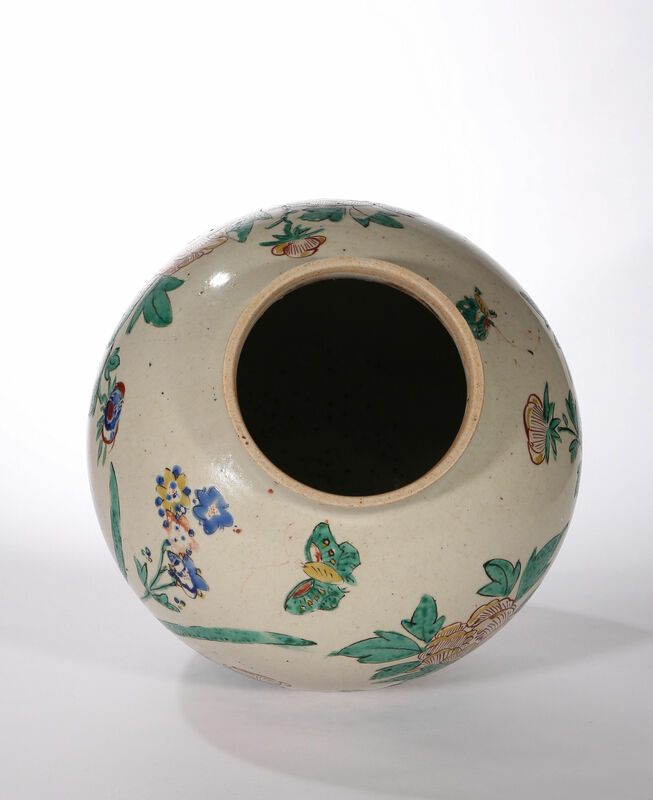 Impey says there is no certainty that this is a product of Arita, but says that at this mid-seventeenth century date no other known kiln area was producing such high-fired wares. 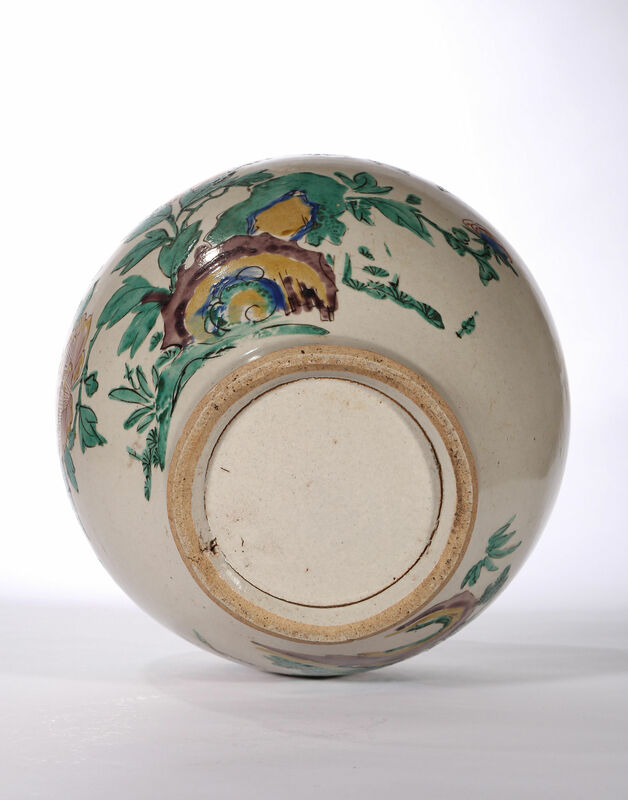 We like to think that this is a proto-Kakiemon piece made for the domestic market and illustrates an early phase in the development of Kakiemon style enamels that were to become so popular in Europe. Because this comes from an old English collection, there is the intriguing possibility that this was an early import into Europe.